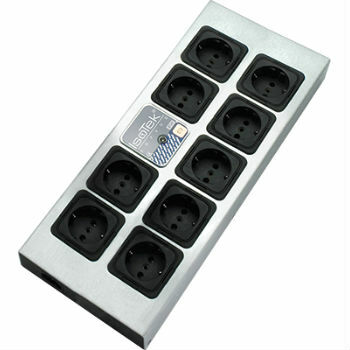 The EVO3 Corvus is a compact yet elegant power distribution strip measuring 363mm in length, 146.5mm wide and just 45mm high. It features 9 individual outlets which reference back to the central PCB. Most power cleaners of this style join output sockets together, running each in series, this is an error as Differential Mode noise created by your connected electronics will cross contaminate from one output to the next. Corvus wiring schematic prevents this.